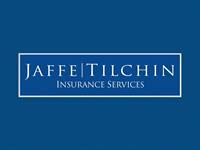 Headquartered in Tampa, Florida, Jaffe Tilchin is an Investment Management and Insurance Services Advisory firm that is focused on helping our clients achieve prosperity and peace of mind throughout their life journey. Our firm has assembled a uniquely talented and seasoned team of more than 45 professionals, each of whom bring specialized skills and is passionately invested in our clients' futures. We seek to align our interests and goals with our clients through thoughtful and unbiased guidance. When we succeed our clients succeed. We are located at 15350 N Florida Ave just North of the intersection of N Florida Ave and Bearss Ave. A short drive after getting off on Exit 53 off interstate 275.